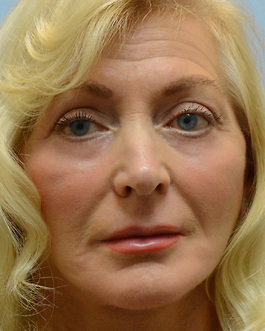 A natural-looking Virginia Beach facelift from Hubbard Plastic Surgery can correct many aspects of aging, including facial and neck sagging, wrinkles, and hollowing in the cheeks and under the eyes. Dr. Thomas Hubbard is a board-certified plastic surgeon who has been in private practice since 1993. He and his team of professionals offer the latest in facial rejuvenation at his state-of-the-art surgical facility equipped with multiple lasers, video endoscopic equipment, and operating suites accredited by the Accreditation Association for Ambulatory Health Care. "Tom, I’m loving it. - Quote of fellow plastic surgeon who had a facelift with Dr. Hubbard." People with visibly sagging skin, especially around the cheeks, jaw, and neck line, can benefit from a Dr. Hubbard's Virginia Beach facelift. Ideal candidates are people seeking a natural, more rejuvenated appearance. Many also desire a dramatic improvement in sagging and aging of the neck. During your consultation, Dr. Hubbard will help you determine whether the procedure is an ideal match for you. "A long time nonsurgical patient at Dr. Hubbard's practice, Lydia began to consider surgical intervention when she noticed a "slack jawline" and "turkey neck" developing. Now, she says her outside matches how she is: happy and vibrant." 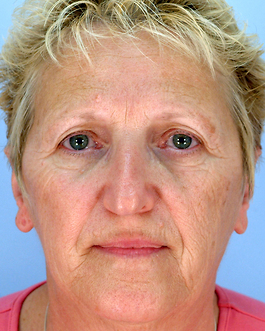 The extent and design of facelift surgery varies depending on individual needs and goals. A very natural appearance is always a high priority. The procedure is typically performed under local anesthesia with sedation. This allows patients to continue breathing on their own and the entire surgical experience is more comfortable. Incisions are placed in front of and behind the ear and often hidden below the chin as well. Usually, 2 layers of tissue are tightened to optimize the scars and give a longer-lasting, more natural result. Why is Fat Grafting So Important? Having attended hundreds of national and international plastic surgery meetings throughout his career, Dr. Hubbard has noted that, in the past 5-10 years, without exception, all of the expert speakers and panelists include fat grafting as an important component of their facelifts. It is the greatest advance in facial rejuvenation in recent decades and an essential tool for optimal and natural results. With fat grafting a major part of aging-“hollowing’ or “sinking” in- can be dramatically improved in certain areas of the face. In experienced hands, fat grafting provides a much more natural result and really is not “seen” unless one is carefully comparing before and after photos and the sites of grafting are pointed out. In other words, the result in any one area is quite subtle, but yet the appearance of the face is closer to where it was a decade or two earlier. In recent years, surgeons with extensive experience like Dr. Hubbard are finding that fat grafting not only restores youthfulness but actually enhances beauty by augmenting the cheeks, angles of the jaw or chin. Each area of grafting is a choice and must be discussed thoroughly before surgery. Generally, a dressing placed around the head, not the neck, is worn for the first 24 hours and is removed the next day. Minimal initial discomfort is easily controlled with oral medication. Sutures are removed after 1 week, bruising and swelling typically subside within 2 weeks, with some puffiness in the cheeks taking a little more time. When fat grafting is performed with a facelift, it can take longer for the swelling to subside. However, fat grafting provides lasting and dramatic improvements, complementing the facelift. Many people visit our skincare clinic for a complimentary make-up session designed to camouflage any remaining discoloration after 1 week. 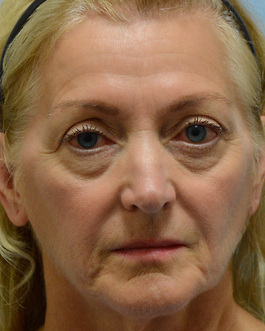 Maureen says her abdominoplasty and facelift were a "powerfully positive experience" in her life. To Maureen, her results are about so much more than looking good. She says, "Now, I look like I feel." 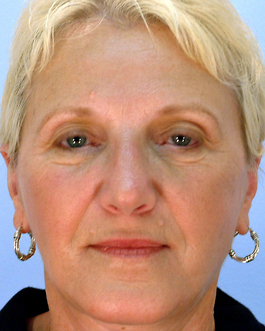 Some procedures can enhance the result of a facelift and often are performed at the same time. Eyelid surgery or a brow lift are common choices for people who are also concerned with correcting the look of saggy or tired eyes, while laser resurfacing can improve the results of a facelift by creating smoother and softer skin. The chin is an important aesthetic facial component, and refinement of the jaw line is one of the primary goals of facelift surgery. Options include a chin implant and fat grafting along the jawline. Fat grafting is done with most facelifts. As volume loss, sinking in or hollowing occurs with aging in most people, restoring volume is important for rejuvenation. Actually, it is one of the biggest advances in facial cosmetic surgery in decades. Dr. Hubbard has utilized fat grafting in his practice for twenty years and has vast experience with facial microfat grafting through advanced fine cannulas. We now frequently see many lay press articles and advertisements about noninvasive and minimally invasive facelift procedures. This is where patient education is key. The results with these approaches do not compare in naturalness, effectiveness or the lasting results that can be achieved with state-of-the-art facelift surgery. 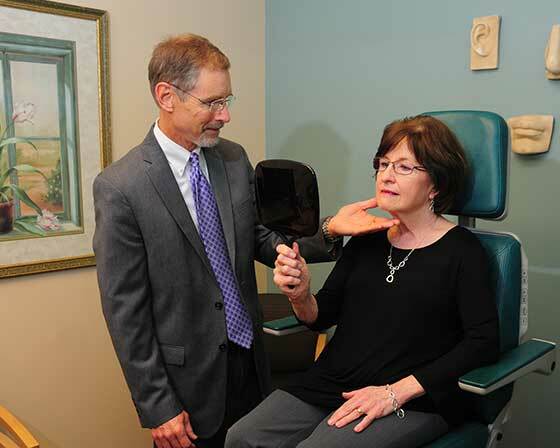 A thorough examination with an experienced surgeon like Dr. Hubbard ensures that you receive among the best facelift Virginia Beach has to offer. Request a consultation online or contact our office by calling (757) 600-6227 to discuss your options. 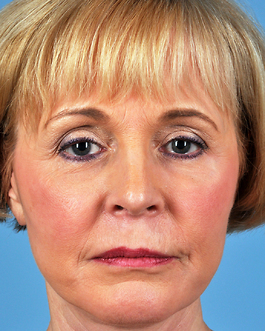 Of all cosmetic procedures, the modern facelift has the most available surgical options. The many alternatives to address the aging face are quite useful because our faces age in so many different ways. These are primarily wrinkling, gaunting (hollowing), sag, and many other changes to skin characteristics such as thinning, roughness, and loss of elasticity. As no two faces age the same, even identical twins must be carefully and individually evaluated. A facelift is a sculpting procedure that rejuvenates multiple areas of the face, including the cheeks, jawline, neck and even corners of the mouth. Incision locations and other details of surgery vary greatly depending upon each patient's needs. Today's modern facelift provides better results while our advanced knowledge has made it more safe, predictable, and natural in appearance. The most effective and natural facelift results come from a combination of multiple state-of-the-art techniques that can be customized to each individual. 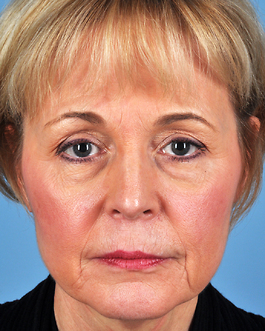 The modern facelift utilizes a variety of surgical tools far from a mere "tightening." In fact, to achieve the most natural results, sculpting or shaping more accurately describes the techniques used most often in combination with suspension, plumping, and/or resurfacing. Dr. Hubbard is double board certified in facial cosmetic surgery with over 20 years of experience in facelift procedures. Dr. Hubbard and his team of professionals offer the latest in facial rejuvenation surgery in his state-of-the-art surgical facility equipped with lasers, video endoscopic equipment, and operating suites fully accredited through AAAHC. Because safety is always our first priority in surgery, there are a variety of measures that can be done to make facelift a very safe procedure. First of all, surgery in an accredited facility is extremely important and accreditation through AAAHC is optimal, as it requires 100% compliance. All of the surgical procedures Dr. Hubbard employs are very safe and result in extremely natural results. Dr. Hubbard welcomes patients to bring old photographs to assist in the planning. Sometimes, decisions are unrelated to aging but improve upon a weak angle of the jaw or a small chin. A thorough medical evaluation is performed on each patient to ensure full medical stability. With a thorough consultation and careful exam, each patient and Dr. Hubbard can arrive at a proper surgical plan that offers optimal safety and natural, longer lasting results.